If you are an alum of a currently open Catholic elementary school and wish to donate to your alma mater, click here. If you are an alum of a "Legacy" (closed) Catholic Elementary school and wish to support Catholic elementary education in Rhode Island, click here. The Catholic Alumni Partnership or (CAP) is a program to help preserve Catholic elementary schools and the values they instill – a well-trained mind, a developed self and an aspiring spirit. In partnership with grateful alumni from across the decades and across the nation, CAP seeks to guarantee a bright and enduring future for Rhode Island Catholic elementary schools. Ultimately, CAP&apos;s vision is to create a sustainable fundraising program for every Catholic elementary school in the Diocese of Providence, Rhode Island with alumni support as its foundation. In the 165 year history of Catholic schools in Rhode Island many schools have closed, the result of changing needs, demographics and economic conditions. These schools have left a legacy. Their graduates have gone on to excel in every avenue of society, including public service, military service, the Church, industry, commerce, health care and academia. These individuals have taken with them the personal discipline and virtues that only a solid Catholic education can instill. Today they contribute more than their share to the common good, to our nation and our state. Are you an alumnus/a of a legacy Catholic school? If you are, you know the enduring benefits of a Catholic education. And now, through the Catholic Alumni Partnership (CAP), you can give back. A gift back to Catholic schools through CAP will help to allow a young man or woman the opportunity to receive a Catholic education. Gifts received from alumni of legacy schools go to the Anchor of Hope Scholarship Fund. The Fund provides scholarships to students at Catholic schools throughout the state based on demonstrated need. Thank you for continuing the legacy! Are you a Catholic Elementary Alum? 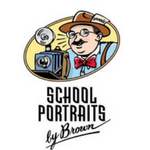 Send us your stories, pictures and copies of school memorabilia. We&apos;d love to hear from you. And your classmates would too!